Need something printed? Let us help. Eastside Printing Co. is a digital print shop for high-quality, medium-to-high volume quantity printing, and mailing services. Quality prints are a necessity in any printing project. East Side Printing Company can produce memorable print pieces that are tailored to your specific needs. A necessity in any printing project. We offer various printing capabilities ranging from brochures, flyers, catalouges, posters, and much more! Tell us about your project, we’ll show you how we can help. 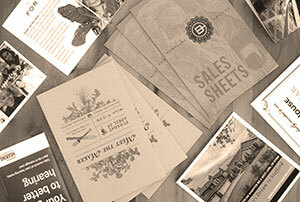 East Side Printing Company offers direct mailing services for clients seeking a more targeted marketing approach. We are a full service mail house. Looking for help with a direct mailing project? Our staff can help you select mailing list postal routes that target your specific audience and keep your business in the top of their minds. Save money sending in bulk and let us take the work off your hands! We’ll bundle and hand deliver your direct mail to selected post offices. Finding a solution for design, print, and direct mailing projects can be a difficult task. That’s why we’ve made it our mission to provide quality service for our clients, ensuring every aspect of their project is tailored to their specific needs. You provide the ideas, and we will work closely with you in creating valuable material that uniquely represents your company. With over 30 years experience East Side Printing Company has the ability to represent your brand, or ideas exactly the way you want! We offer quality design, print, and direct mail services for any size project. East Side Printing gets to know your business, and collaborates with you throughout the whole process. You will be working with a team of qualified designers, that are ready to help, adding a personal touch to each project. or fill out the quote form to see how we can help.